The correct pressure is the fundamental requirement for the proper operation of water based heating, solar, cooling and pressure booster systems. 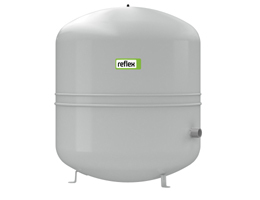 Here the Reflex diaphragm expansion vessels offer a simple and smart solution. They are independent of electrical power and easy to operate. Inside the vessel a diaphragm seals the system water from the gas compartment. So diffusion of pressured gas into the water is prevented. 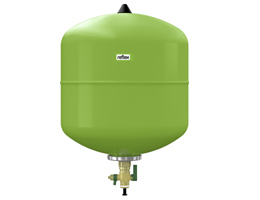 The result is a fully closed system that does not suffer from corrosion or other gas-related problems.